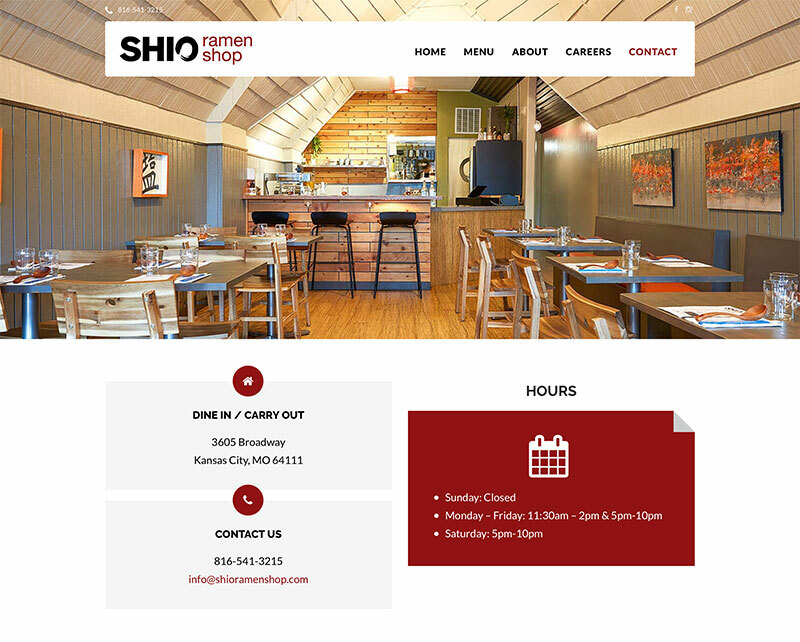 My work with Shio started with a referral from another client who had a close friend opening a new ramen shop in Kansas City. 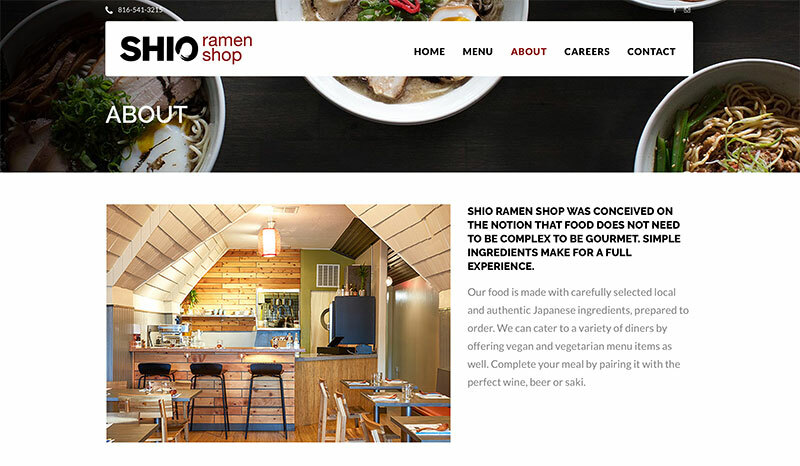 She had already designed a well-crafted logo and menu for the restaurant herself, and the owner had hired a photographer to take beautiful photos, but they still sought a professional developer to design the website. 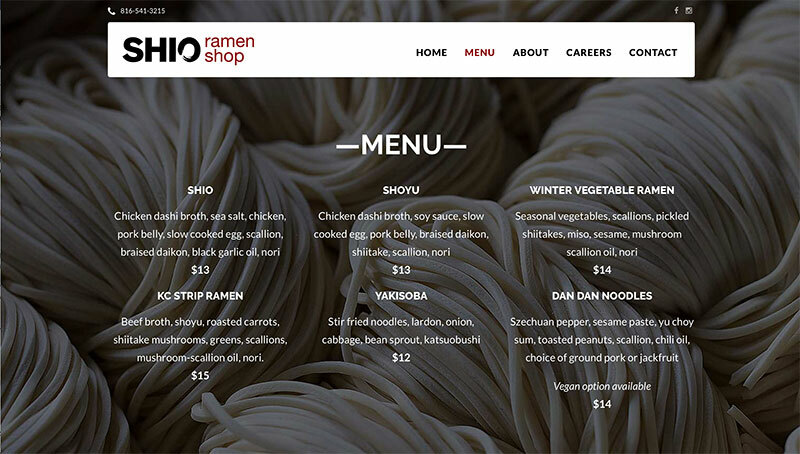 Intrigued, I met with the owner and was not only impressed with the work they had put into remodeling their space, but also with the vegan items on the menu. I immediately knew I wanted to help! 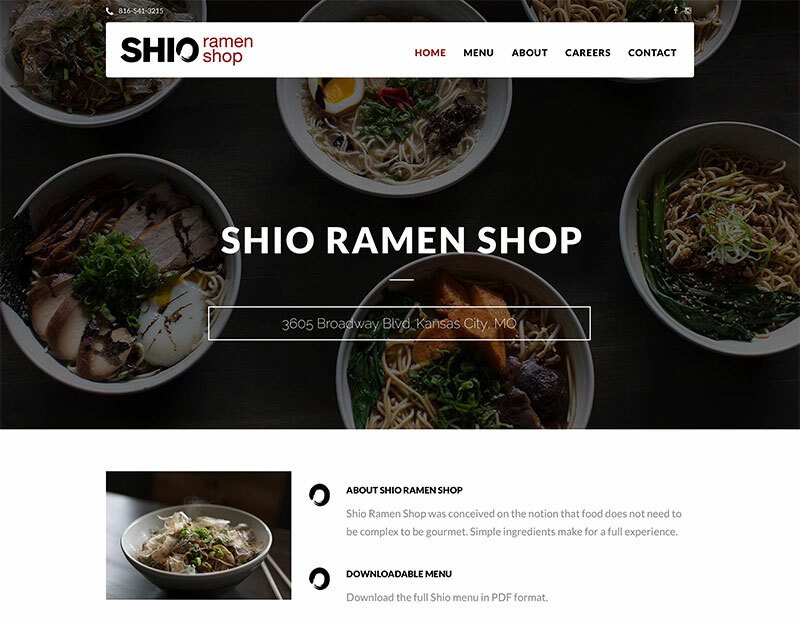 I designed a small website where site visitors can quickly see Shio’s menu, learn more about the restaurant’s history, and check hours and location. Professional photos provided by the client and used on this website by Ben Pieper Photo.